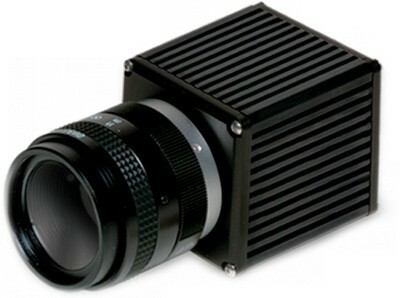 These compact InGaAs snapshot video cameras feature high frame rate Region of Interest (ROI) windowing capture of images. This enables tight tracking of free-space communications lasers or fast moving targets, with >10,000 frames per second for a 16 x 16 pixel window. The camera configurations include 8 corrected modes with variable integration time and 8 convenient preset ROI windows. User serial commands over the 12-bit Camera Link® interface are used to create ROI windows anywhere on the FPA. The 320KTSW-1.7RT provides high response from 0.9 to 1.7 μm and the 320KTSWVis-1.7RT extends the response into the visible wavelengths, running from 0.4 to 1.7 μm.